Canillas de Albaida, Salares, Sedella, Archez, Canillas de Aceituno, Competa, all villages which stand at the foot of the impressive Tejeda and Almijara Sierras; all morisco (Moorish convert to Christianity) villages, where vines were the main crop and are still an important element in the landscape as well as the economy; all display similar characteristics, reflecting the true essence of the Axarquia region, its scenery, its way of life and its history. 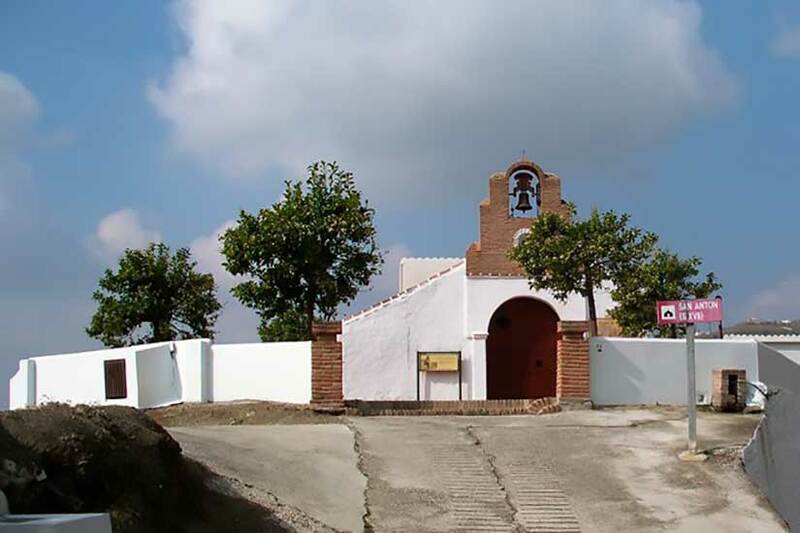 Canillas de Albaida, located atop a hill, overlooks banked slopes of rich vegetable gardens which together with the village itself create an attractive panorama in which Our Lady’s Church is the highlight. Worthy of note in its natural surroundings is a spot known as La Fabrica, ideal for camping, hiking and cycling trips. Canillas de Albaida originated from a 13th-century Arabic farm belonging to Velez-Malaga which was known as Albaida, meaning white, due to the abundant white flowers which grew in the area. In 1487, after the conquest of Velez-Malaga by the Catholic Monarchs, Canillas was subjected to the obedience orders imposed by Ferdinand the Catholic, until the rebellion by the moriscos (Moslem converts to Christianity) in the 16th century saw it suffer the same fate as its neighbouring villages: a number of its inhabitants -who were mainly moriscos- were deported and the village was repopulated by Old Christians. The village and its municipal area were affected by the major tremor known as the Andalusian Earthquake on Christmas Day 1884; extensive material damage was suffered.